The hidden influence of progressive theology. 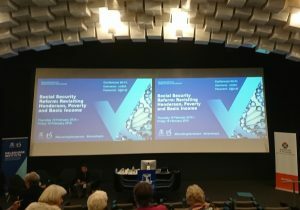 Recently I had the opportunity to attend the Henderson Conference 2018 at the University of Melbourne. Professor Ronald Henderson, led a national inquiry into poverty from 1968-1975. From this inquiry came many wide-ranging reforms including increases to the aged pension. It also saw the creation of the Henderson poverty line, which continues to be updated by the Melbourne Institute, and is used by policy advocates like myself to this day. The conference brought together outstanding speakers from around Australia all of whom were committed to reducing poverty in Australia. This resulted in truly fascinating discussions and it was great to be among so many committed people. I am not sure how traditionally religious Ronald Henderson was or whether he was a church goer at all. However, it is apparent from his son’s recollections that there was something in the progressive theology of his day that helped guide and galvanise his actions. As it happens, I had been thinking a little about Niebuhr of late because it was he who championed the Jewish philosopher Abraham Heschel in the USA during the 1950s. For the last 4 months I have been engrossing myself in Heschel’s work, which, though written over half a century ago, prefigures and resonates with much postmodern theology. Progressive theology needs legs. If it does not lead to loving committed action it is useless, a waste of time. It also needs to be grounded in that loving committed action and not something produced in the ivory towers of universities alone. One of the things that Henderson did when he first began his research into poverty was that he sent his young university researchers out into the community to talk with every community group who would listen. They talked about their findings and discussed their implications. In this dialogue, their ideas were tested and they developed a strong sense on how to communicate. I am not sure whether he got this idea from Niebuhr or not, but it is certainly a model which is strongly biblical. Palm Sunday is coming up. This is a time Christians have traditionally prayed with their feet. 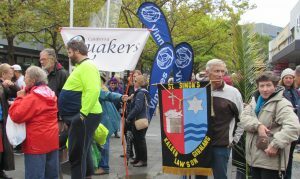 In Australia while church attendances have been dropping, those in the secular society committed to justice have taken this festival up. It is now a rally for those who want justice for refugees and for people seeking asylum. What a sign of grace! Though we in the churches have forgotten the covenant, God has not forgotten! Palm Sunday is our opportunity to do theology on the street and with our legs and with our ears. On Palm Sunday you will hear a God who confronts, who calls for justice, who challenges and for those who have committed themselves to justice, who also consoles. My first challenge then to progressive Christians reading this article: Get out on the street this Palm Sunday. My second challenge is for you to ask your local Minister, Pastor or Bishop to be there as well.